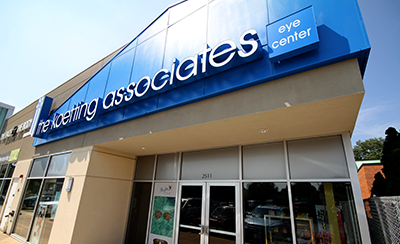 The Koetting Eye Center boasts one of the largest inventories of contact lenses in the Midwest. For this reason, same day service is available on most prescriptions, including toric lenses (contact lenses for astigmatism) and rigid gas permeable lenses. Whether it is contact lenses, refractive surgery, spectacles, or simply eye health care, The Koetting Eye Center is committed to provide the highest quality eyecare possible for our patients. At The Koetting Eye Center we pride ourselves in providing patients with high quality eyewear, including the latest in lens treatments and designs. We also carry a wide selection of fashion frames, including Gucci, Italee, John Varvatos, Jimmy Choo and Oliver Peoples, and much more. Today nearly 30 million people in the United States and over 300 million worldwide suffer from some form of dry eye disease. Symptoms include redness, scratchiness, burning, stinging and sometimes itching. So, if you think you might suffer from dry eyes, our doctors at the Koetting Eye Center can determine what might be the cause, and recommend a treatment plan accordingly.